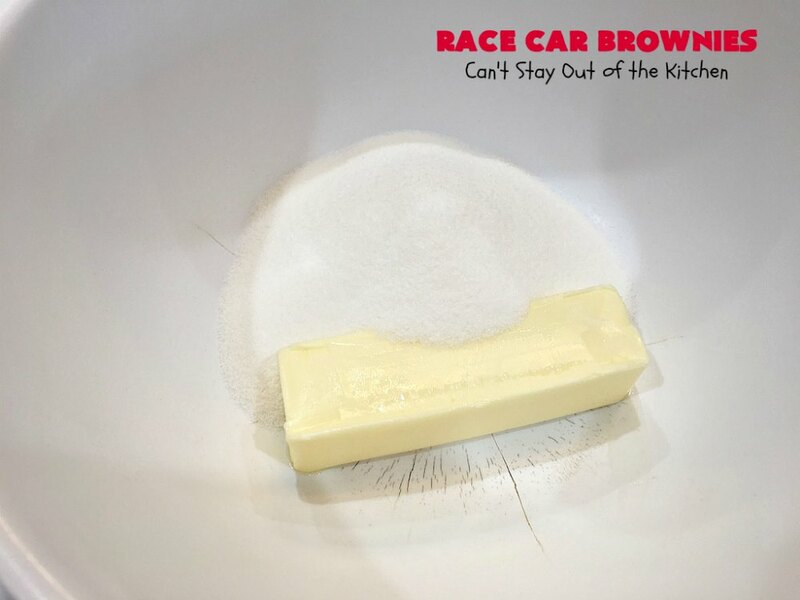 Race Car Brownies are irresistible. 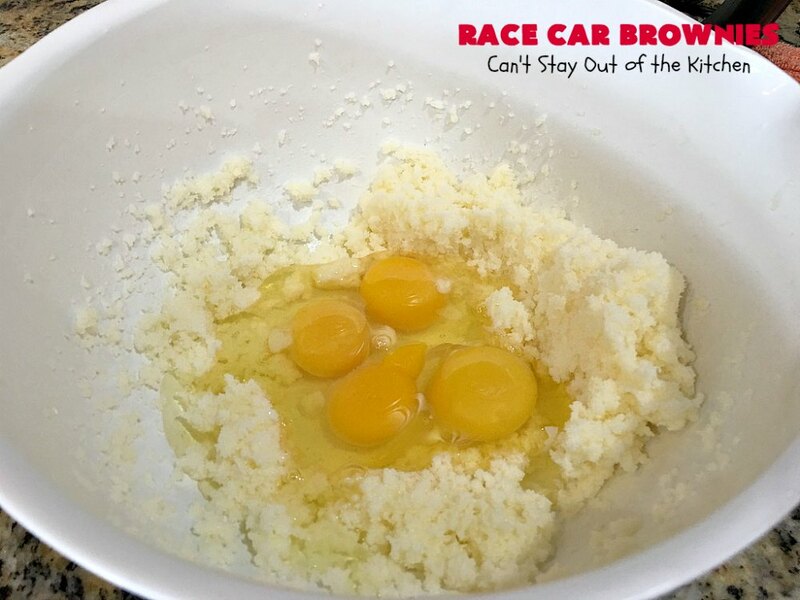 My cousin gave me this recipe about 30 years ago, and it’s a keeper. 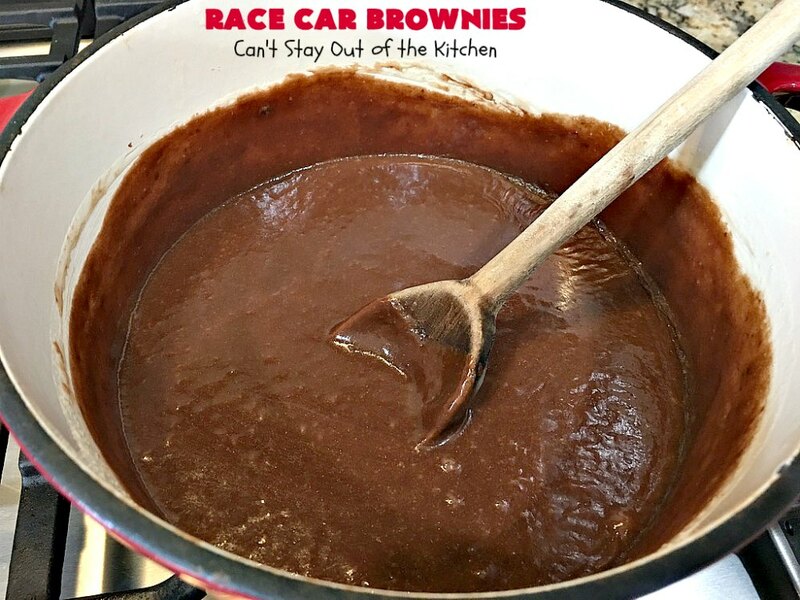 They used to make up a batch of these delicious brownies every time they went to NASCAR races. Thus, the name, Race Car Brownies. 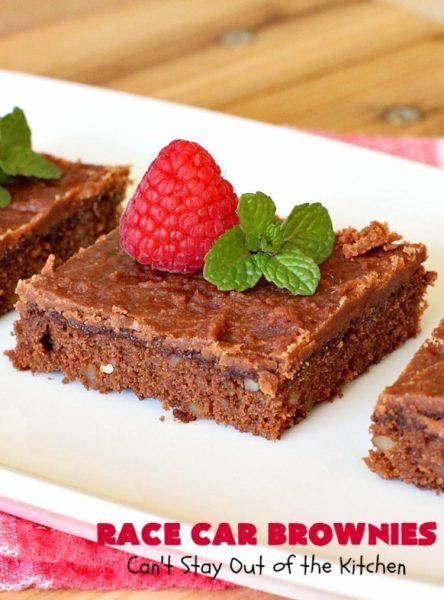 These jewels have Hershey’s syrup in the batter and use Hershey’s chocolate chips in the fudgy icing. 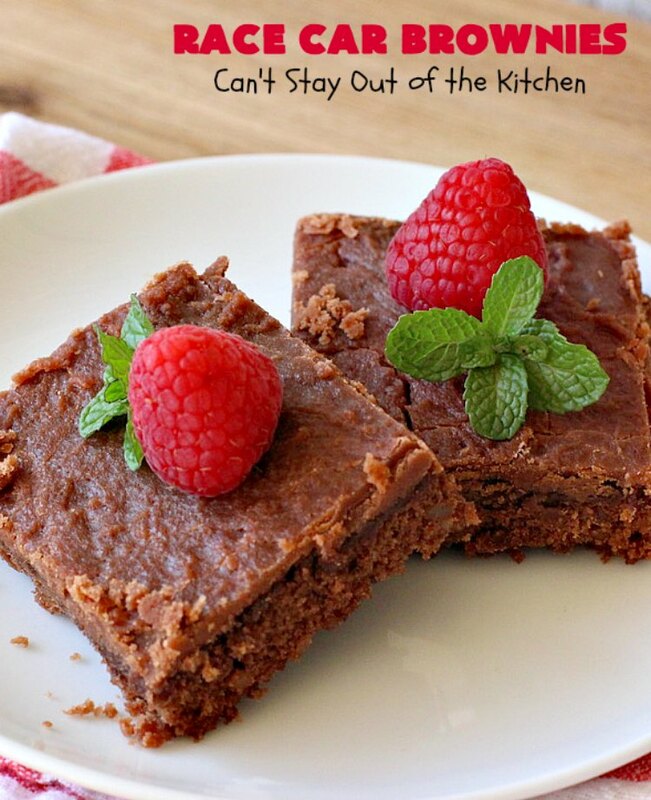 Yes, they are everything you want in a brownie. I baked these brownies in a cookie sheet rather than a baking dish. The brownies aren’t as thick that way. But they’re so rich it works out just as well. 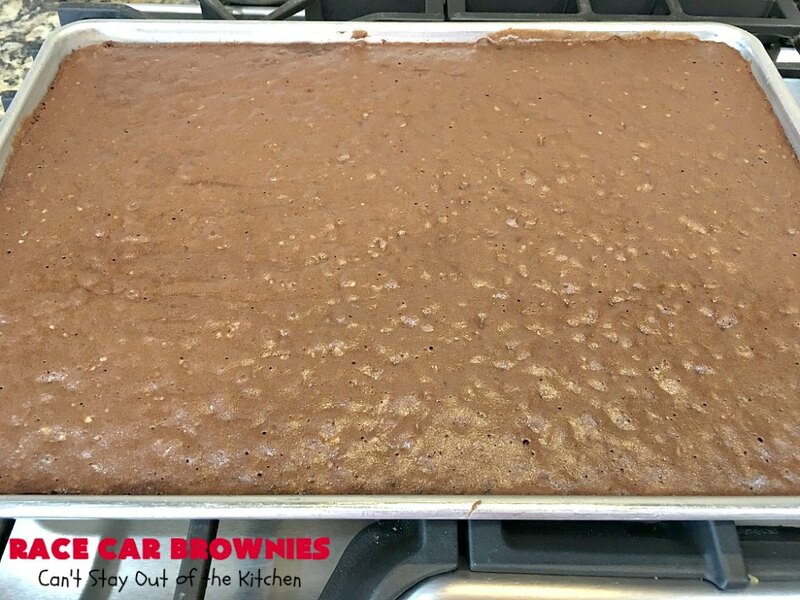 The icing is smoothed over top rather quickly while the brownies are still hot. 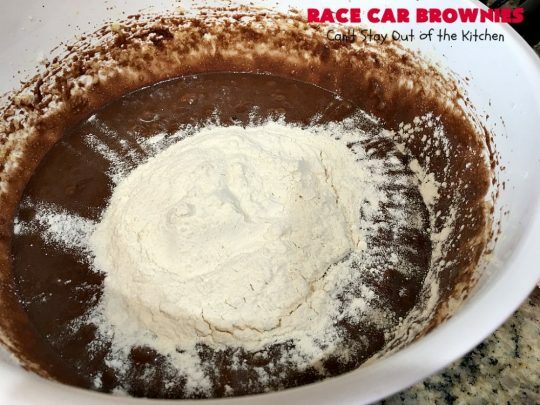 It’s thick, chocolaty and fudgy. 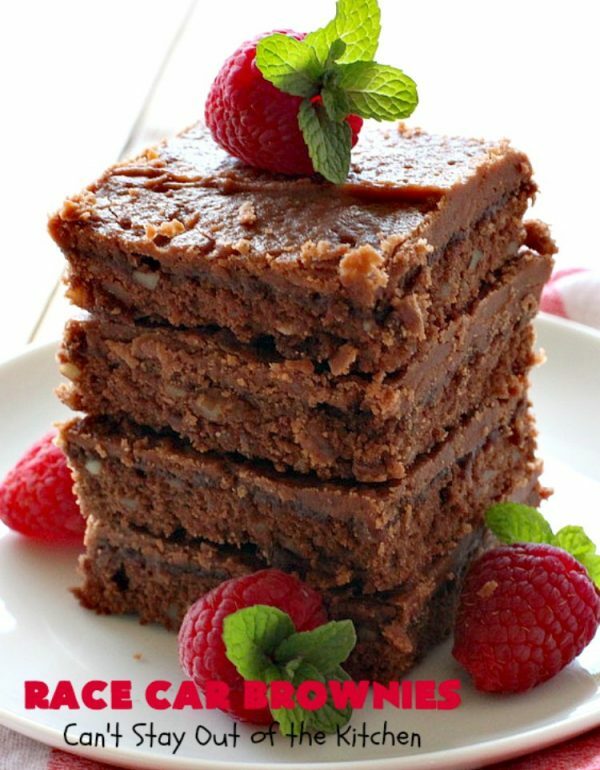 This terrific dessert should be on your menu. 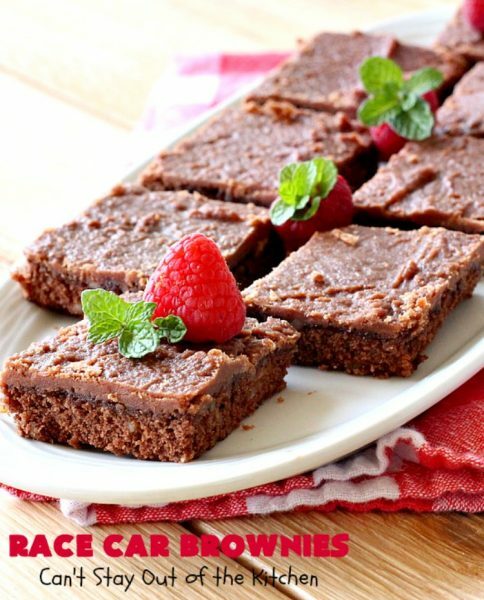 Whether you’re going to Nascar races or just soccer practice down the street, these are the brownies to take! Everyone will want one, and you’ll be left holding an empty pan. Enjoy. 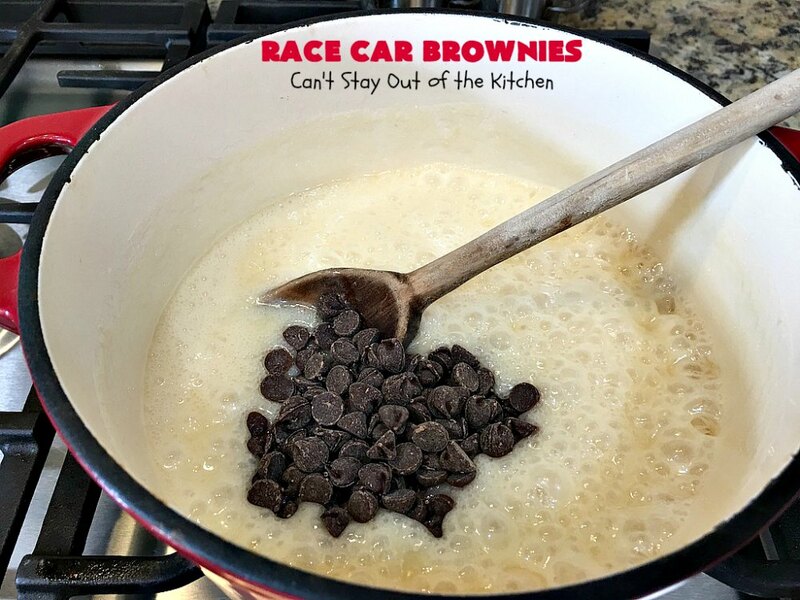 Race Car Brownies are so mouthwatering. 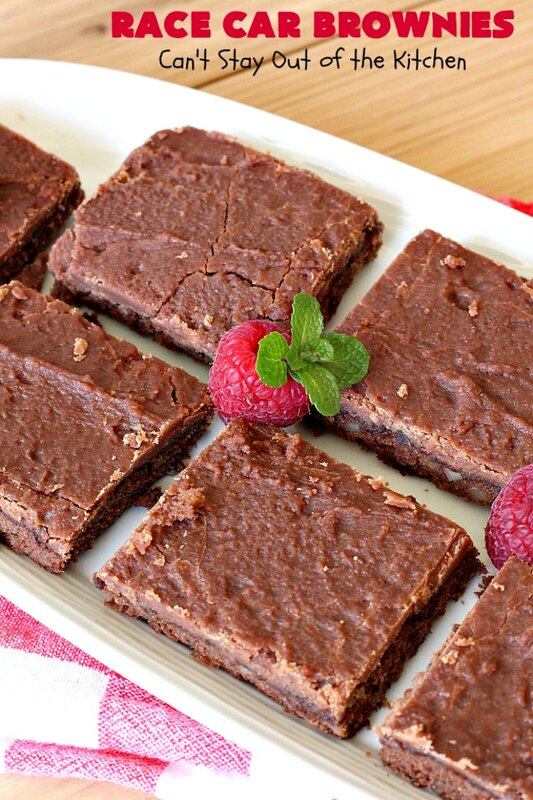 These brownies are rich, decadent and heavenly. Whether you take them to NASCAR races or just down the street, these brownies just have to be eaten! 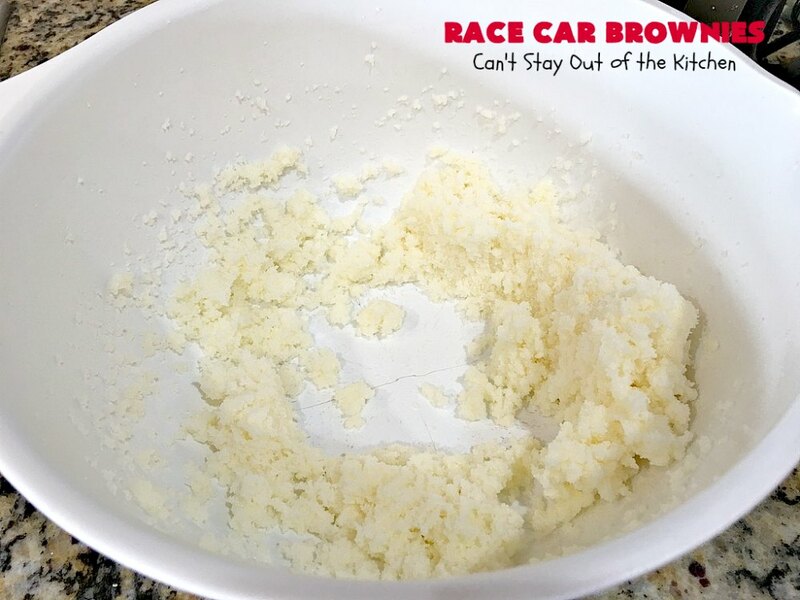 Mix with an electric mixer until fluffy. 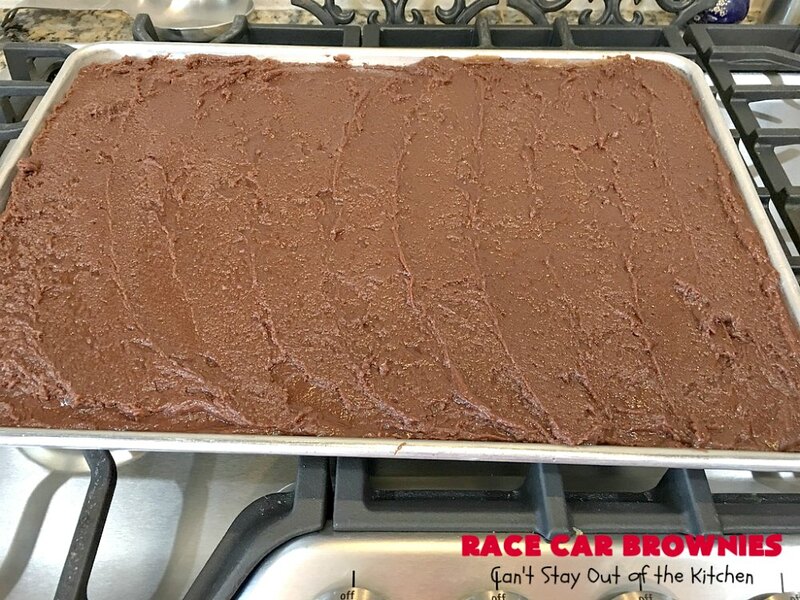 Grease a 12×17″ cookie sheet. Spread brownie batter into prepared cookie sheet. Bake at 350 for 30-40 minutes or until a toothpick inserted in center comes out clean. Pour icing over top of brownies while still hot. 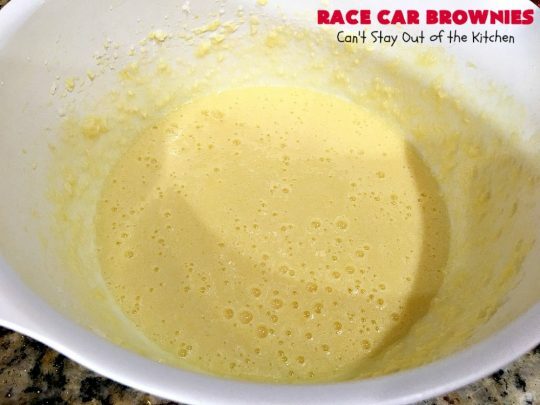 Melt butter and evaporated milk in medium-sized saucepan over low to medium heat. Bring mixture to a boil. Boil one minute. 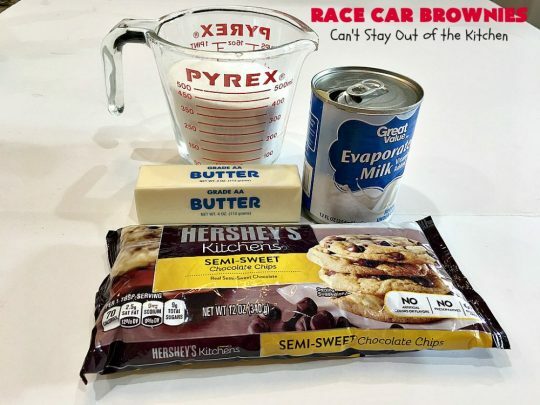 Remove from heat and add chocolate chips. Stir until chocolate chips are melted. 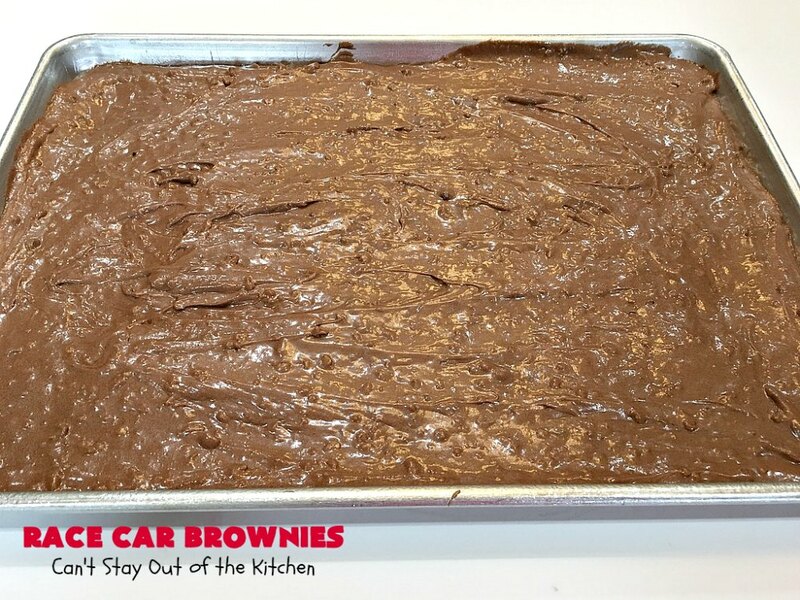 Immediately spread hot icing over hot brownies. 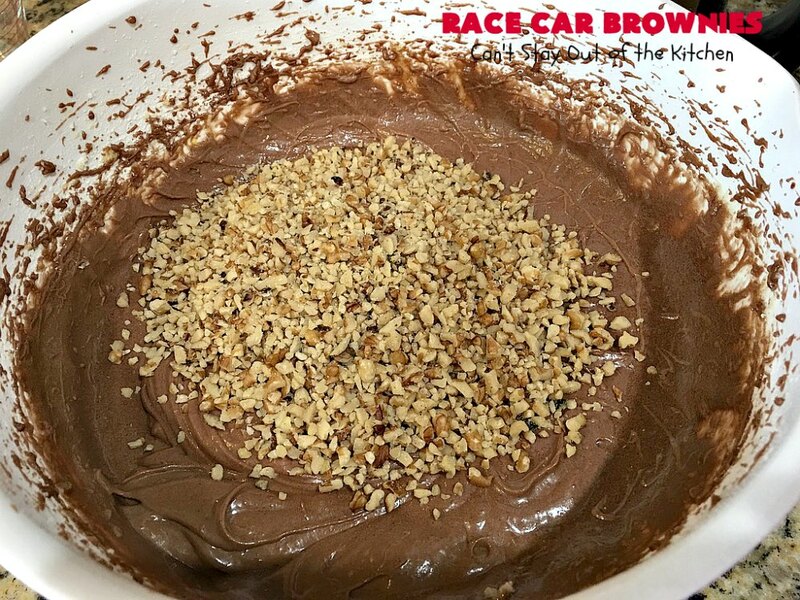 Work quickly as the mixture will harden and turn to fudge very rapidly. 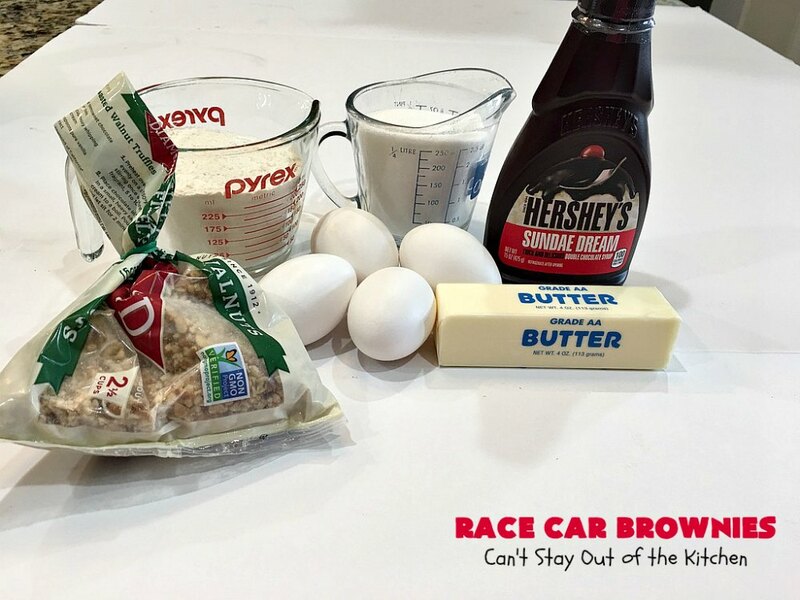 Race Car Brownies are terrific for tailgating parties, soccer games, NASCAR races or backyard barbecues. Add syrup and beat again. Add flour slowly; then increase speed until thoroughly mixed. 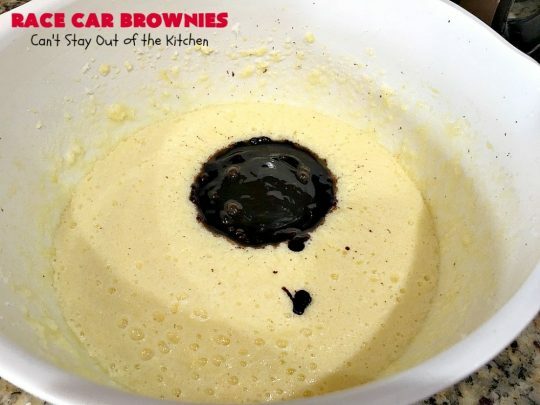 Pour into a greased 12x17” cookie sheet. 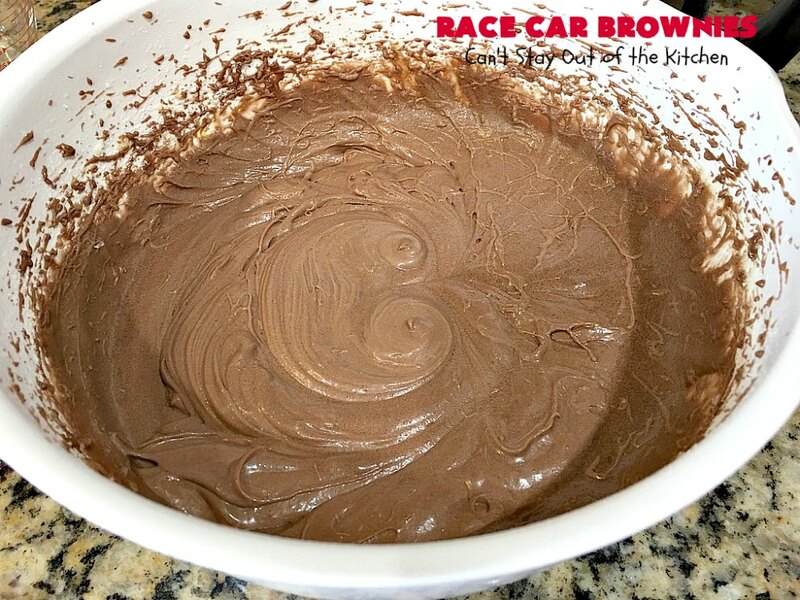 Bake at 350° for 30-40 minutes, or until a toothpick inserted in center comes out clean. Add icing while still hot. 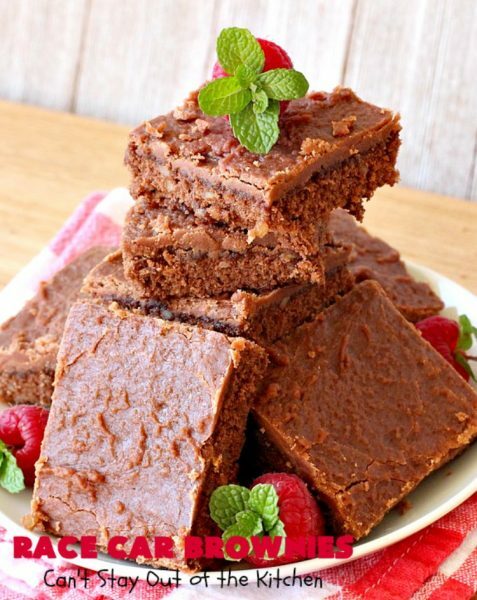 Cool brownies completely before cutting into bars. 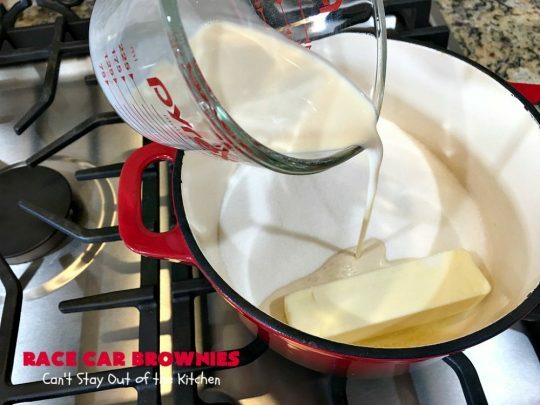 Place butter, sugar and milk in a medium saucepan. Heat at medium stirring to dissolve ingredients. Bring ingredients to a boil and boil for 1 minute. 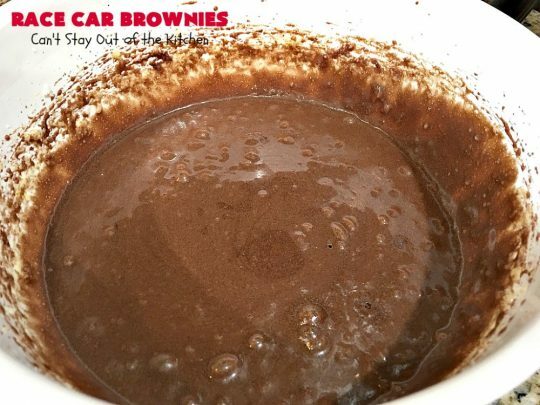 Pour hot icing over brownies as soon as they’re baked. Spread icing with wet knife. 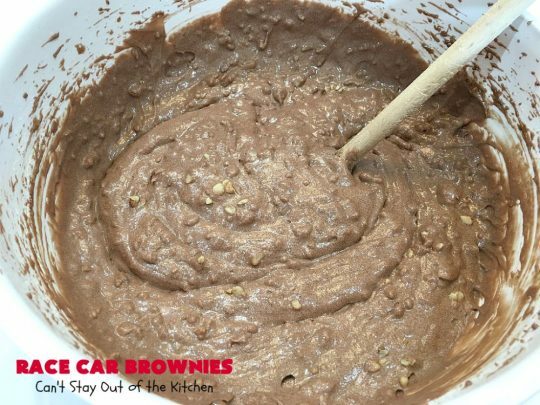 NOTE: The consistency of the brownies before baking is more like cake batter. NOTE: The cans of Hershey’s syrup from the 70s and 80s used to be about 15-20-ounces. I substituted a 15-oz. bottle of Hershey’s Sundae Dream double chocolate syrup. 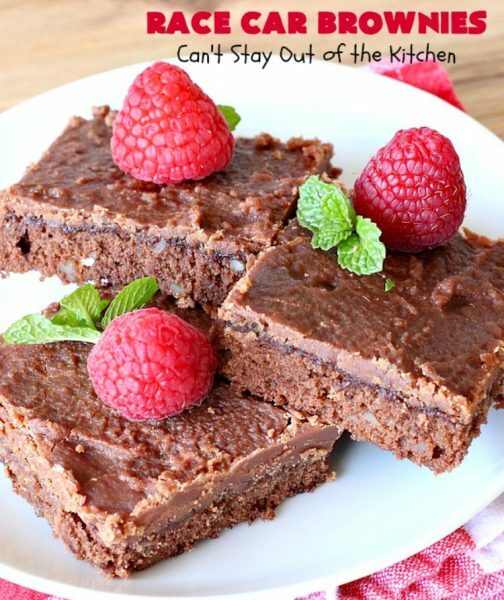 These fudgy, frosted brownies will have you coming back for more! Every bite of Race Car Brownies will have you drooling. 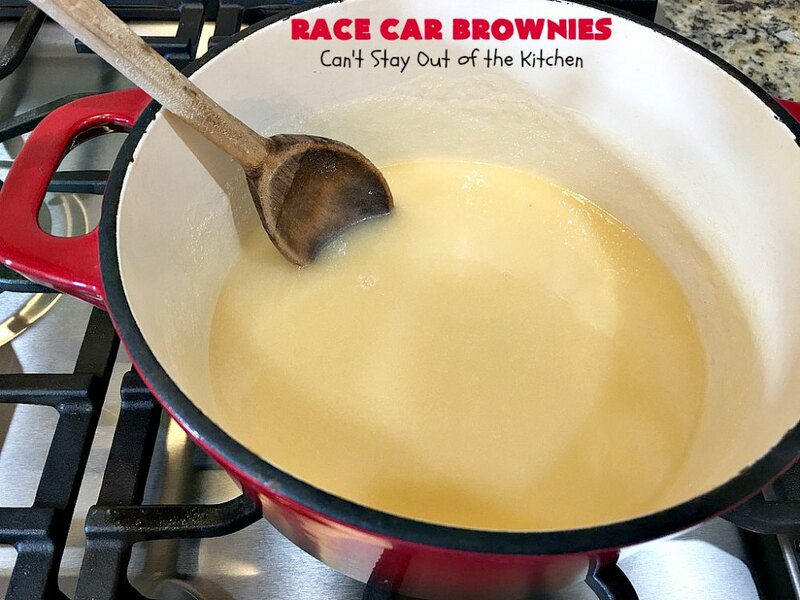 It’s hard not to eat a stack of Race Car Brownies in one sitting!